The Daily Kirby: 39 YEARS AGO TODAY Is this really an improvement? i really enjoy your blog. i check it every morning! Somebody else reads this blog besides my wife and Kirk G!?! Seriously tho, thanks for your time and attention. 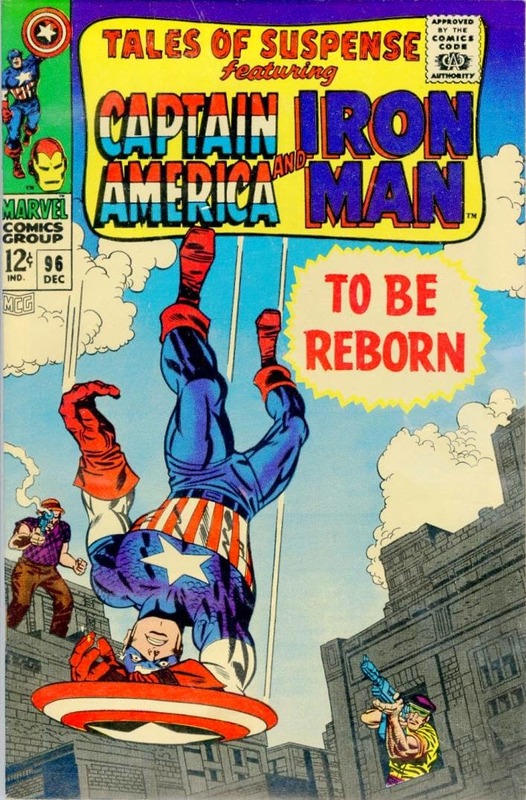 The second cover not only repositions Cap, the blurb, and the title, but also adds a jet of flame in the gun barrel AND repositions Cap's sheild arm! I liked the original, but wondered where in the world the storyline was going. (I was aware they were headed for issue #100, but didn't know what that would mean yet. Welcome to the club, Jim. I check this first thing when I come to work and boot up the computer. After all, it is my hit of "The Daily Kirby!" I also find the Double Feature design to be an improvement in composition. That wasn't its purpose, though. Everything was moved to make room for the larger title blurb and modern Marvel banner. It would have saved time, effort, and money to have designed the Double Feature banner smaller. I mean they surely had to do a redesign most months. Pretty stupid, if you ask me. Everything was moved to make room for the larger banner. 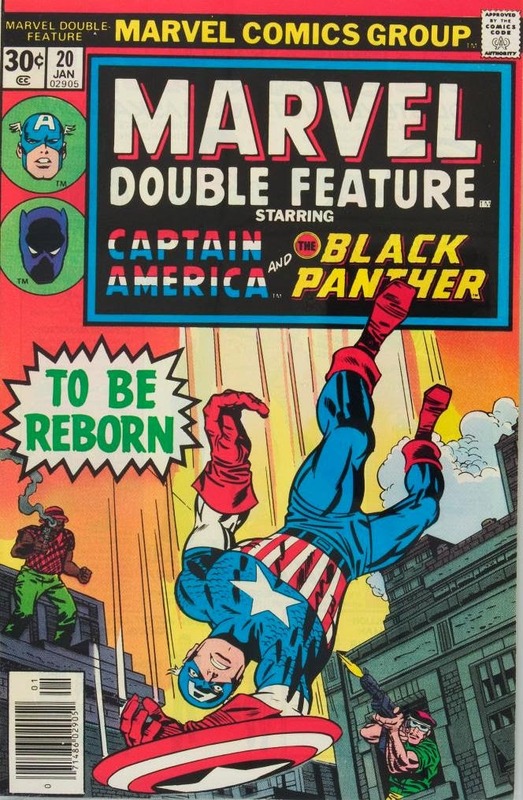 It would have saved time, effort, and money to have designed the Double Feature banner smaller. I mean they surely had to do a redesign most months. Pretty stupid, if you ask me.